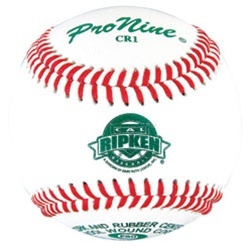 These are the Pro Nine CR1 Cal Ripken League Official Game Baseballs, recommended for regular season play. Ordering a large quantity of game baseballs for your team or league? Call us for volume discount pricing.